My name is Catherine, and as most of my friends and past co-workers know, I was diagnosed with End Stage Renal Disease in October 2011. I began my journey with what was originally a cancer scare, so off to the hospital for 2 weeks of tests. The good news: it wasn’t cancer. Turns out it was a problem with my kidneys, and my particular disease causes a positive reading to the cancer test. I had so much fluid that I couldn’t even put on regular shoes. I called my poor swollen feet my "hobbit feet." As you can see, I kept my humor from the beginning of this journey! I began dialysis in January 2012, and have been on dialysis for 6 1/2 years now. After several health bumps in the road, my nephrologist has finally referred my case to OHSU's Transplant Program! Did you know that the average cost of a transplant is $143,000? With insurance it is negotiated down, but the costs are not covered 100%. In addition, the anti-rejection drugs cost on average $17,000 per year. These are the reasons why I have a Go Fund Me account. Along my journey, I have kept a positive attitude and my humor. 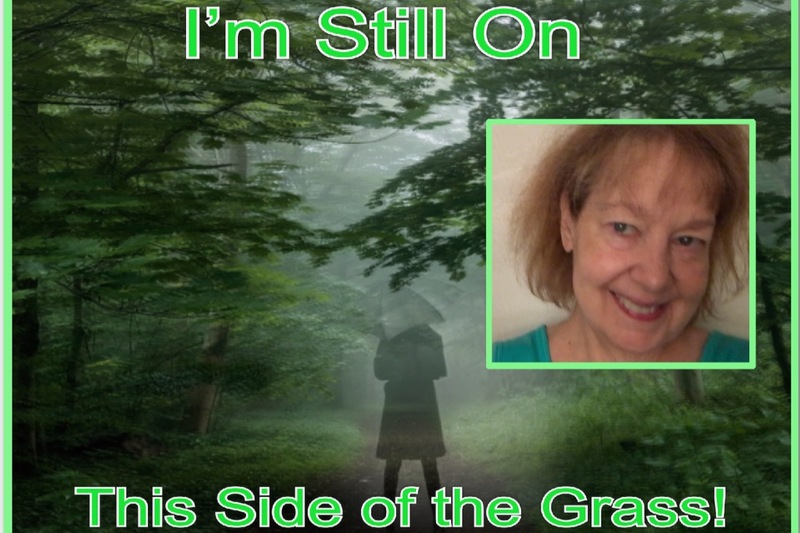 I am very proud to say, “I am still on this side of the grass!” However, things happen. If for some reason the transplant never happens, any donations made will be donated to Donate Life and the Kidney Foundation. Now that I am accepted as a good candidate for transplant, donations are critical. If you haven't donated yet, I hope you will consider doing so. Thank you all! Yippee! I got the call from OHSU and I am accepted , but deferred for 6 months. What does that mean you are all asking. It means I have some things to do to go to full status. I am put on the donor list, but on inactive status until these items are taken care. 1. Increase my overall strength. They felt I was still somewhat on the frail side. This doesn’t surprise me, given all I’ve been through just in the last 2 years. They will let my nephrologist know and request for some physical therapy to help with this, which should be covered except for a co-pay perhaps. In the meantime I have already increased my treadmill incline walking frequency and am adding my arm weights. They also said if I feel I am stronger before the 6 months is up, to give them a call to set up an appointment with their doctors. 2. Want me to get a new echocardiogram (last one I had was early last year). 3. Get a few more vaccinations, one of which is measles, believe it or not. Blood test showed I am negative for the antibodies for a few things, hence the vaccinations. So yesterday I had my day-long candidacy appointment. Had a transplant info class, meeting with a social worker, meeting with the dietician and an exam with two doctors on the transplant team (and more blood tests!). It was a long day and I was wiped out by the time I got home. I think my time with everyone went well. One of the requirements is you can walk up 2 flights of stairs. They did this later in the day, but I not only walked up 2, I walked up 3. Doctor stopped me as I was starting up the 4th flight, saying, "yeah, you got this!" Yea me!!! So now they will meet with any other candidates. Then in 2 weeks, the team gets together to discuss each candidate's results and will determine which of us are good candidates. So, I still don't know if I'm going into the transplant process, but I will in 2 weeks. More waiting. Bottom line, I will hopefully be posting good news in 2 weeks, so stay tuned everyone! Well, in 1 week I have my OHSU candidacy appointment! Yippee!!!! Today, I had to have 16 different blood tests pulled for OHSU. Problem is, I'm a very hard stick, and the veins give out. We can only use the arm that doesn't have my dialysis access, and it's pretty beat up. I did get permission to use the hand on my access arm, as last week I had to do 6 tests, and they barely got enough blood for them. Needless to say, was sweating it today for 16 tubes! I was there for an 1 1/2 and look like I had a run in with a porcupine or I'm a pin cushion, but they got it, thank the dear Lord!